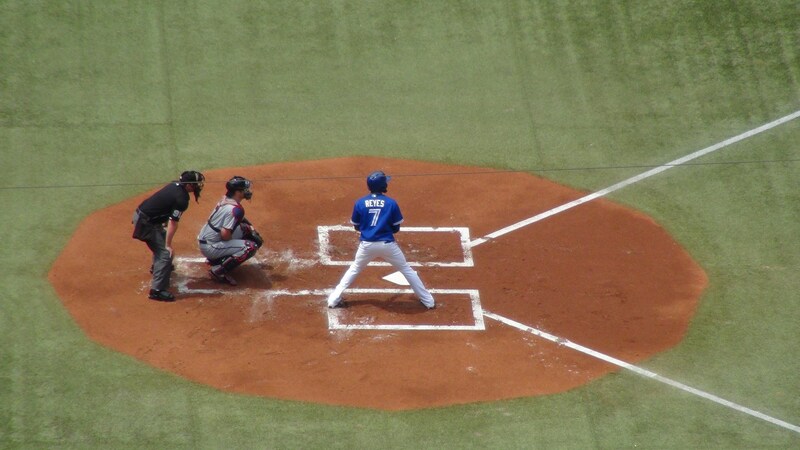 Traveling correspondent Vinny Haynes (@buhudabear) sent these photos from Saturday’s matchup of ex-Mets at Skydome Rogers Centre. Mike Pelfrey‘s Minnesota Twins got the better of R.A. Dickey‘s Toronto Blue Jays as he and three relievers combined to pitch a four-hit shutout. From my point of view, the wrong ex-Met won. 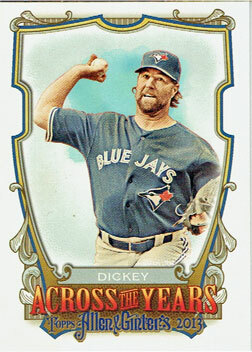 The first series of Topps 2013 baseball cards are due to arrive in hobby shops on January 30th, but you could get lucky and spot them at retailers like Target and WalMart earlier. The official checklist has been released, and it’s going to rub salt in the wound for Mets fans: R.A. Dickey and Jason Bay are both included as Mets. We’ve finally reached the end of 2012. On both a personal level and for the baseball teams that I follow, it wasn’t really a good year. I’ve watched my father’s health decline throughout the year. 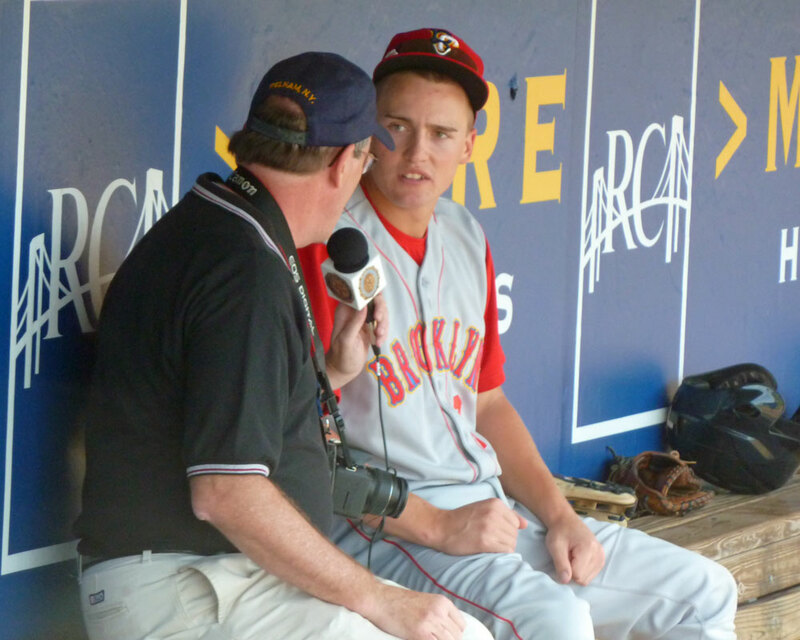 I don’t usually get too personal on here, but my dad’s the one who taught me about baseball and took me to my first games – I can’t really talk about the game or look back on 2012 without thinking of him. I didn’t know Gary Carter, but his death was a loss for me and many other baseball fans as well as those who did know him personally. Carter was one of the rare few members of the 1986 Mets who tried to do admirable things off the baseball field as well as on it, and he will always be my favorite baseball player. 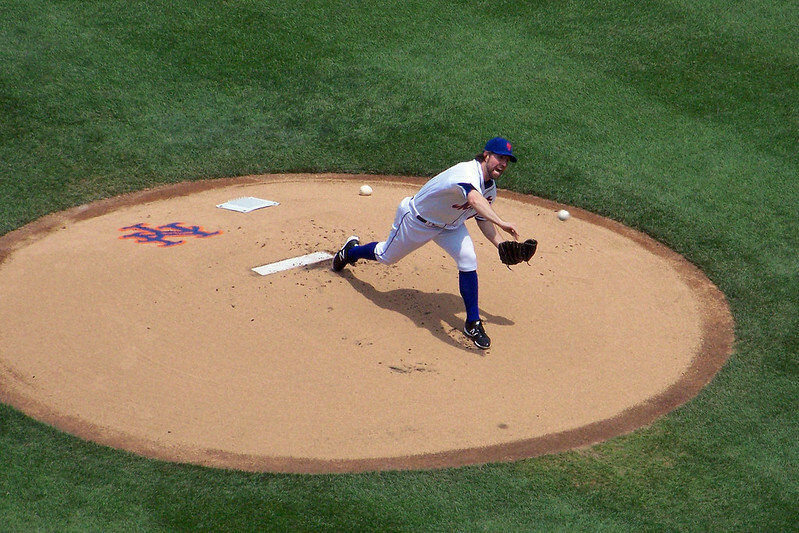 Moving from the sad to the frustrating, the New York Mets collapsed again after a strong start to the season in 2012. Only the disaster that was the Miami Marlins saved the Mets from finishing in last place in the National League East. The team’s finances continue to be the most interesting story surrounding the Mets this off-season, and the biggest trade that Sandy Alderson made sent the Mets’ second-best player to Canada for talented prospects who aren’t likely to help before 2014 or later. The Newark Bears muddled through another losing season, finishing the year 30 games under .500 and with the lowest attendance in the Can-Am League. Yep, not really a banner year anywhere. 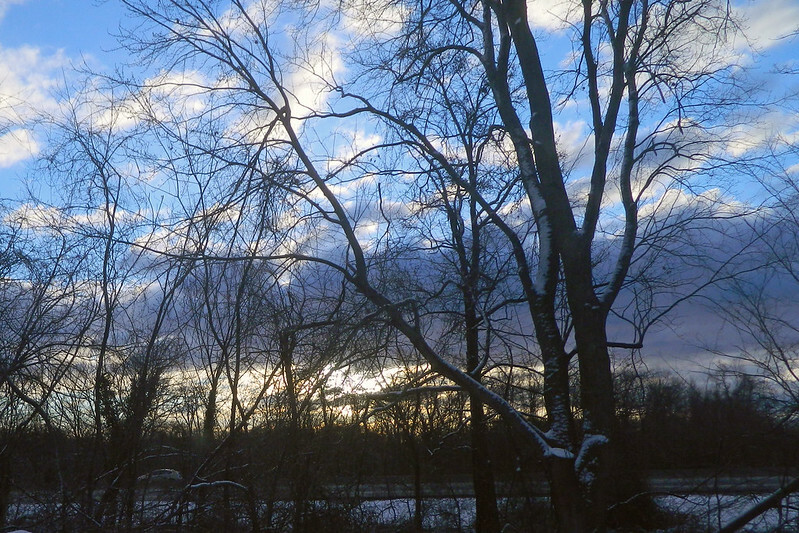 But even so, there were bright spots. For the Bears, Mike Ness had a magical afternoon on July 11th when he pitched a no-hitter against the eventual league champion team despite a defense that committed six errors behind him. It took 50 seasons (and a missed call by an umpire), but the Mets finally got their own no-hitter on June 1st. 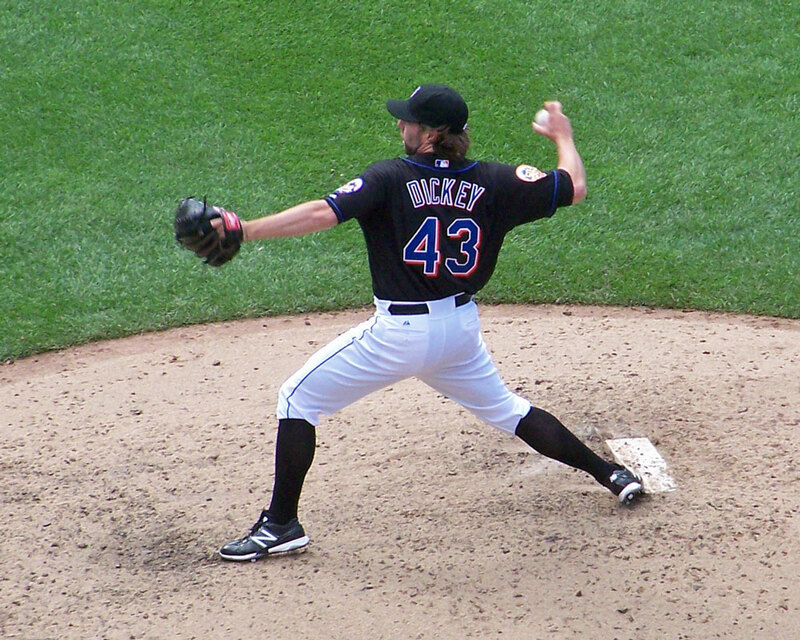 And if Johan Santana was amazing that night, R.A. Dickey was amazing all season long. Despite an offense that seemed to go days between scoring runs in the second half, Dickey became the Mets’ first 20-game winner since Frank Viola and their first Cy Young Award winner since Dwight Gooden. 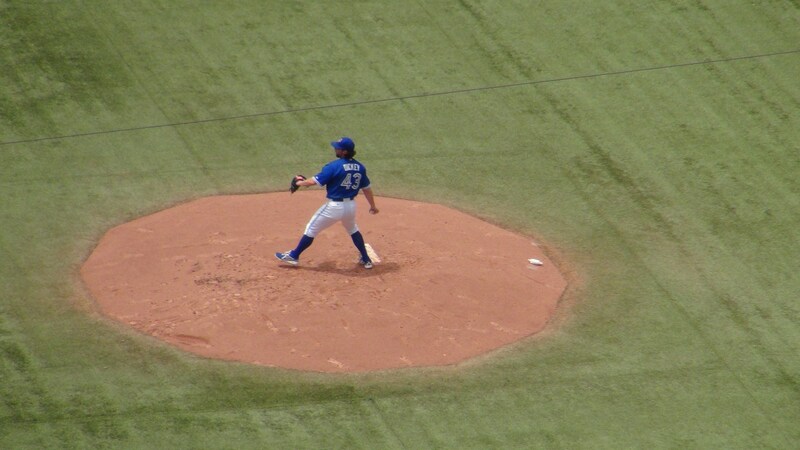 Dickey’s one-hitter against the Baltimore Orioles on June 18th was the best baseball memory I’ve had at Citi Field. That night, he became the first pitcher in all of baseball to throw back-to-back one-hitters since Dave Stieb did it for the Toronto Blue Jays in 1988. 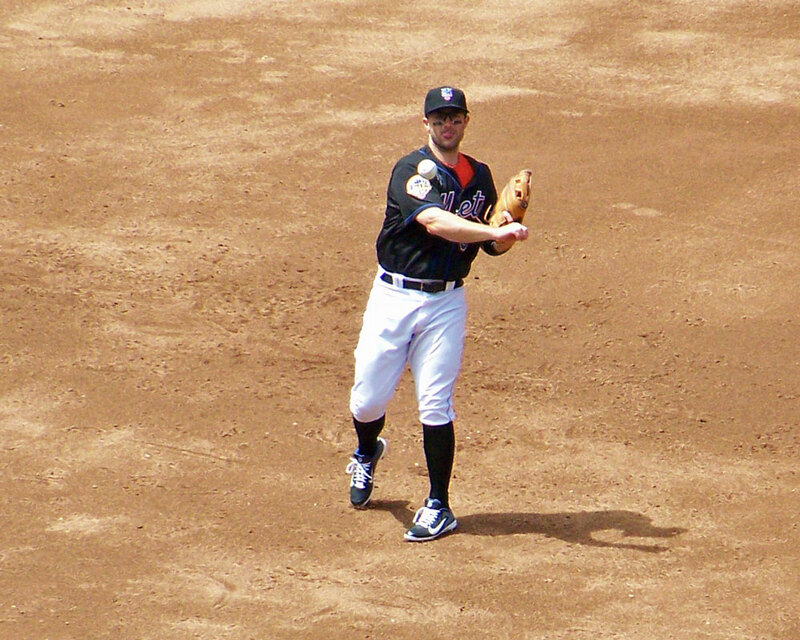 David Wright set new franchise records for RBIs and hits – I was in the ballpark when he set the RBI mark in April. During the off-season, he signed a contract extension that will likely allow him to retire as a Met, so we can watch him extend and set more franchise career records. Jonathon Niese and Ruben Tejada took steps forward, and Matt Harvey made a positive impression once he was promoted from the minor leagues. And if Ike Davis‘s overall numbers for 2012 aren’t especially pretty, he did finish strong after a terrible start. 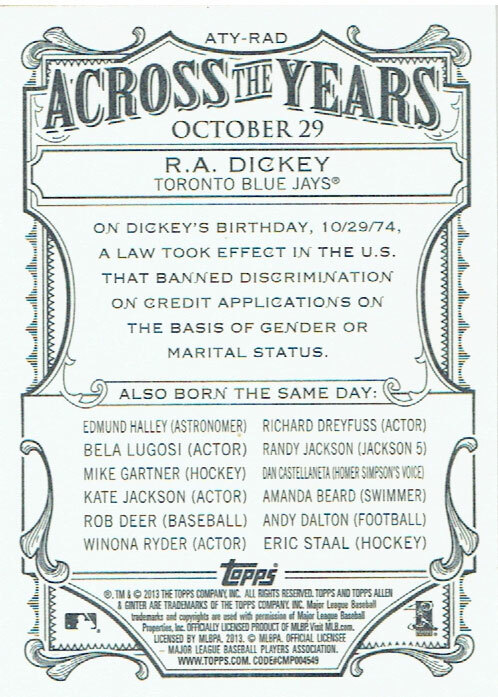 And on a personal note again, I’m thankful for the friends I’ve made who I’ve gone to baseball games with, who have helped me with my autograph or baseball card collections, or who’ve just spent time talking baseball with me here, on Twitter or on Facebook. The way I see it, every life is a pile of good things and bad things…. The good things don’t always soften the bad things, but vice-versa, the bad things don’t necessarily spoil the good things and make them unimportant. This year’s almost gone, and next year promises another pile of good and bad things for us. Let’s try to enjoy the good ones – such as those magical performances at the ballpark, or times spent watching the game with friends or family – and not let the bad ones spoil the rest. What stood out for you in 2012? What are you looking forward to in 2013? From the beginning of last season to the end — when you cheered with all you had that Thursday afternoon when I won my 20th game — I felt that this was a shared journey, that we were all in it together. What a great way for an athlete to feel…. I hope you know that I will never forget my three years in New York, and never be able to adequately thank you for everything you’ve given me. I was stuck at work, so I didn’t get to watch Dickey win his 20th. 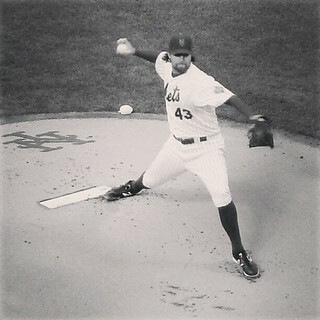 I was at Citi Field for his second consecutive one-hitter against the Baltimore Orioles this year, and it’s one of my favorite memories at the new ballpark. I hope that Dickey wins another Cy Young Award with Toronto, and I hope that the prospects he was traded for help the Mets win another World Series championship. It’s official: the trade between the New York Mets and Toronto Blue Jays is a done deal. R.A. Dickey, Josh Thole and Mike Nickeas are headed to Toronto. Travis D’Arnaud, John Buck, Noah Syndergaard and Wuilmer Becerra are coming to the Mets. I hate that the Mets are in a position where trading the reigning Cy Young Award winner makes sense – I’d much rather be thinking about winning the World Series than how many more years until they’ll have a shot to make the playoffs again. But let’s be clear about something: the New York Mets were not going to the playoffs in 2013 with or without R.A. Dickey. They finished 74-88 this year with him, and were not in a financial position to add enough pieces through the free agent market to substantially improve. 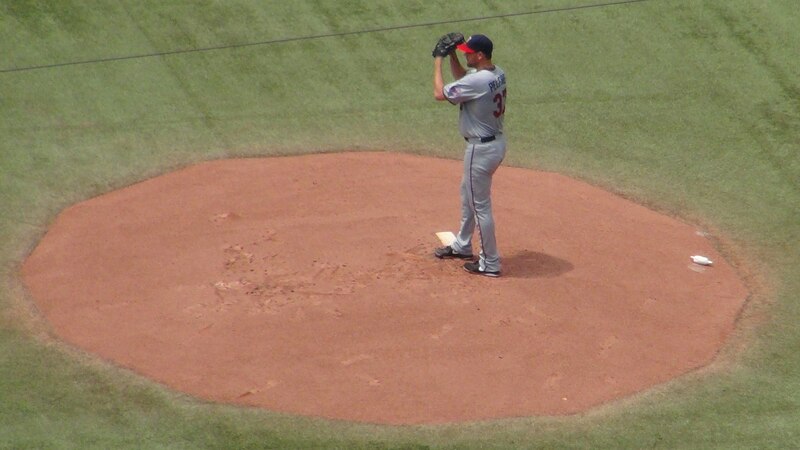 Even if they did have the ability to spend like the Dodgers and decided to overpay Josh Hamilton, Michael Bourn and Nick Swisher to play the outfield and got Rafael Soriano and a few other free agent relievers for the bullpen, there’s no guarantee those moves would have made the Mets better than the Nationals and the Braves. The Mets have been selling a “plan” of waiting until 2014 when the bloated contracts that Omar Minaya gave to Johan Santana and Jason Bay finally expire. But next year’s free agent class is likely to be as disappointing and overpriced as the current one, and there are no legitimate prospects at the upper levels of the farm system besides Zack Wheeler and Wilmer Flores, who doesn’t really have a position now that David Wright is locked up. So before today’s trade, all we really had to look forward to in 2014 were players who’d be another year older. The New York Mets are rumored to be close to completing a trade that would send R.A. Dickey to the Toronto Blue Jays for one or more prospects. While money may have played a role in moving things to this stage, a look at Baseball America’s newly-released ranking of the top 10 prospects in the Mets’ farm system is more telling. To no one’s surprise, pitcher Zack Wheeler is at the top of the list. The rest of the list includes just three other players who’ve advanced to the Double-A level or above: infielder Wilmer Flores and pitchers Jeurys Familia and Cory Mazzoni. Seven of the ten players are right-handed pitchers, with Flores, shortstop Gavin Cecchini and outfielder Brandon Nimmo the only position players ranked. Both Nimmo and Cecchini are still teenagers and neither has advanced above short-season ball yet. A lack of blue-chip position prospects clouds New York’s future lineup possibilities, however. Its best upper-level hitter is infielder Wilmer Flores, but he may not have enough power or defensive chops to profile as a long-term starter at any position. 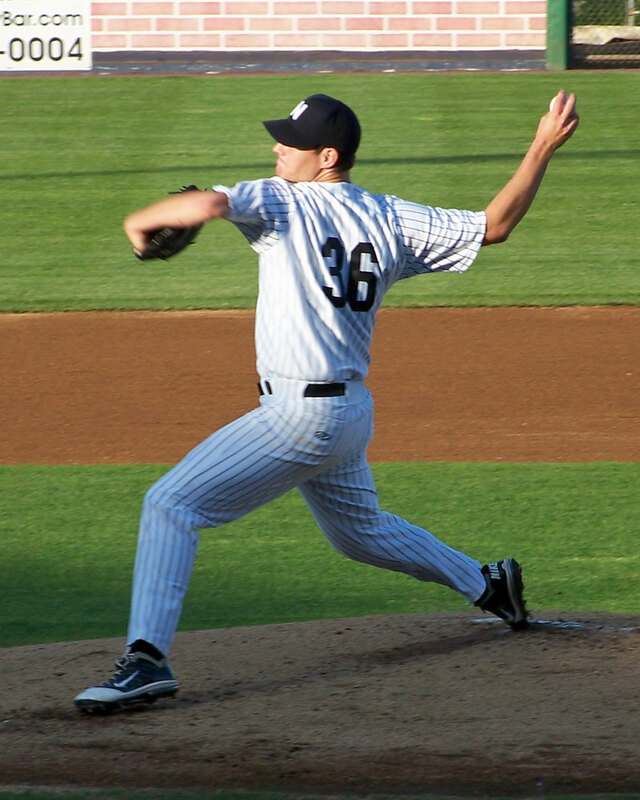 It’s not pleasant to think about trading away a popular Cy Young Award-winning pitcher. But the holes in the Mets’ major league lineup and the lack of position player prospects in the minors make unpleasant decisions like this necessary.